Psychological Dream Meaning: Fear of failure may originate in childhood and stem from fears of punishment or withdrawal of love. Failure themes can occur in dreams about missing trains, muddling up your words, or failing an examination. Too many people self-programme themselves with failure habits. Instead of focussing on where you go wrong emphasise the things you get right. Give yourself permission to succeed. Psychological Dream Meaning: Fairy stories are full of rich psychological symbolism and the telling of them can help children and adults express their innermost fears and hopes. For a man a fairy may symbolise the female aspect of his personality that can be integrated for better psychic balance. Similarly, for a woman a fairy may represent either her femininity or her motherly side. Many times, as I'm going to sleep, I dream that I am walking along the road and suddenly trip up and fall towards the pavement. I always wake up before I hit the ground. Why do I dream this?- J.H- London. Dreams about falling usually occur as you are "falling off" to sleep. They may be triggered by a drop in blood pressure, a movement of the fluid in the middle ear, or a limb dangling off the side of the bed. Some psychologists believe that these are archaic memories from the time when we were tree-dwelling monkeys. The ape-men that survived their fall passed on their genes with the memory of the event. The dead ones did not. And that's why so often you dream of falling but of never hitting the ground. As a symbol, falling highlights a loss of emotional equilibrium or self-control. You may fear "letting go" in real life. Anxiety usually accompanies this dream. It may represent your insecurity, a lack of self-confidence, a fear of failure or an inability to cope with a situation. There could also be a literal interpretation. You may have noticed something unsafe- a loose stair rail, wobbly ladder or insecure window. Check it out. The dream may be a warning. 1. Am I over ambitious? Perhaps you have 'climbed above your station' and experiencing the 'pride before a fall'. You may have to lower your sights somewhat and set yourself goals that are more realistic. 2. Do I fear letting go? 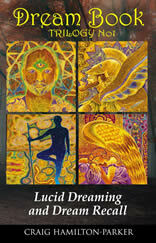 The dream may be urging you to stop resisting an impulse from the unconscious. The psychologist Strephon Kaplan-Williams suggests that you should relive the dream in your imagination and let the fall complete itself. In this way, you find out what is frightening you. You 'get to the bottom' of the problem. Psychological Dream Meaning: People who appear in your dreams represent aspects of your own self that you may be unaware of. Famous people usually represent the person you would like to be. Ask yourself what psychological characteristics and traits this person symbolises for you. These may be the qualities that you need to integrate into your own personality. If you dream of being famous yourself, this may show your need to be admired by the people around you. Psychological Dream Meaning: As an archetype, the father represents the protector, lawgiver or ruler. It may appear in dreams as a king, emperor, wise old man, or as the sun, a weapon or a phallus. Carl Jung considered this important symbol to play a crucial psychological role in the destiny of the individual. Sometimes this figure may represent the conscience and shows your conventional moral opinions. If the father plays the role of a protector, it may symbolise that you need to become more self-reliant and depend on your own resources. May people dream of hostility towards their father. This shows how the unconscious is dethroning the father in order to enable you to achieve a proper sense of yourself and be a person in your own right. Psychological Dream Meaning: Bad memories, feelings of guilt, self-doubt, worries, anger, carnal desires, insecurities and anxieties are often pushed out of our waking thoughts and repressed. Nightmares occur when these hidden fears force us to pay attention to them. This is a opportunity to discover what part of you is threatening to destroy your inner peace. What is it that you fear so much that you have to push it away into the darkness of the unconscious? Psychological Dream Meaning: You have the emotional need to gouge yourself. This may not necessarily be on food – you may have a ravenous sexual appetite. Consider whether there is an imbalance in your life that needs redressing. Alternatively, perhaps you are over-indulging in feelings of self-pity or are greedy to have material things. You may need to set limits upon your desires. Psychological Dream Meaning: Feathers can represent a gift that expresses your desire to show warmth and tenderness to someone close to you. A feather floating in the air may show your desire to ascend to higher spiritual knowledge or intellectual ambition. The lightness of a feather also implies light heartedness and enjoying the good things in life. You may benefit if you surrender for a while to the benevolent winds of fortune: go with the flow. 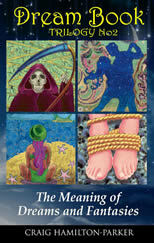 Psychological Dream Meaning: You may feel that there are barriers in your way. You feel ‘fenced in’ and restricted in what you can do or can express. Perhaps your relationship is unsatisfactory because your partner does not allow you to be the person you really are. Similarly, you may feel that your job or circumstances are restrictive to your personal growth. It’s time to pull down these fences and be yourself. Psychological Dream Meaning: The openness of a field may express your desire to be free. A field is also a fertile place and may therefore symbolise personal growth. The earth can symbolise the mother, which in turn represents the instinctive levels of your being from which this growth may come. 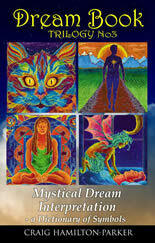 Alternatively, the dream may simply represent you love of and desire to be with Nature. In times of trouble, a short break spent with Nature can be very therapeutic. Many of society’s ills are caused because we have lost touch with her restorative and nurturing powers. Psychological Dream Meaning: What we just watched on TV or saw at the cinema before going to bed can influence our dreams. You may have unconsciously felt an empathy with something you saw. To dream of watching a film may demonstrate that you are contemplating the run of your thoughts in an unattached way. You are able to view yourself and your life without becoming emotionally involved. Psychological Dream Meaning: Fish can represent insights into the unconscious. (The unconscious is represented by the sea). Jung said that fish are often symbols used by the dream to describe psychic happenings or experiences that suddenly dart out of the unconscious and have a frightening or redeeming effect. Fish caught in a net and brought to the surface may represent insights emerging into the light of consciousness. Fish are also a common symbol of fertility. Your dream may be indicating that you are experiencing a period of personal growth. Fish are a product of the emotions and intuition as opposed to the materialistic earthbound approach to life.